A large system of Paloma tankless water heaters can be electronically controlled with the MIC-180 Multi-Unit Controller. A large system of Paloma tankless water heaters can be electronically controlled with the MIC-180 Multi-Unit Controller. 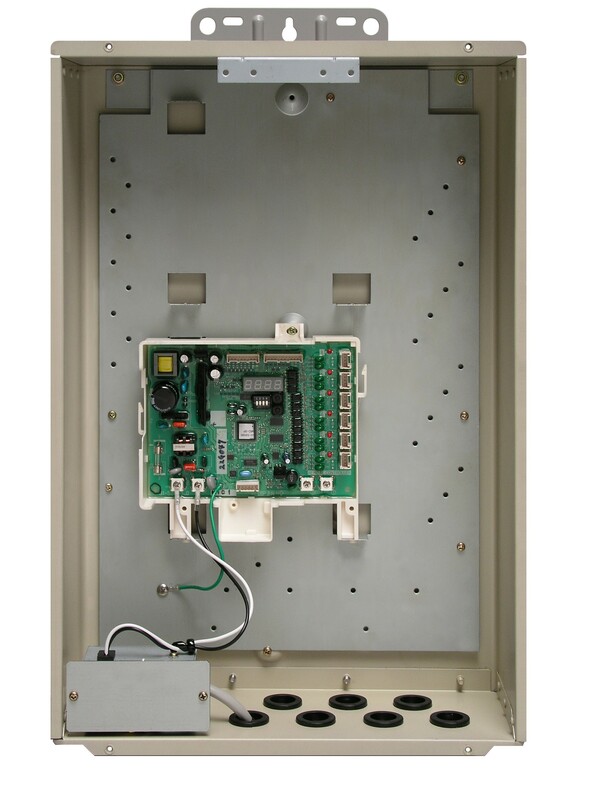 For systems of 7 to 20 unites, the MIC-180 controller needs an extended communication board, the MICS-180 which can be fit inside the MIC-180 installation box. The MIC-180 controller is linked to each Paloma tankless water heater with a separate communication cable. Temperatures are set for the entire system by a single Main Controller (UMC-117), which is linked directly to the MIC-180. The Main Controller will also display diagnostic codes for each unit in the system. A 28c Series, MIC-180 Manifold controlled multi-unit system can produce up to 5,235 gallons per hour at a 77-degree rise. A properly sized 28c System is built to meet Peak Demand, just like a home system, in extreme winter conditions.